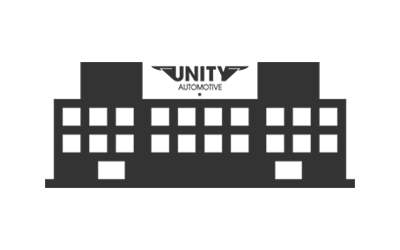 Unity Automotive has over 40 years of experience manufacturing parts in the aftermarket automotive industry. 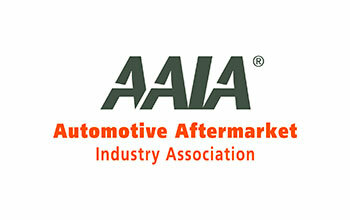 Who we areAftermarket Leader in Suspension. 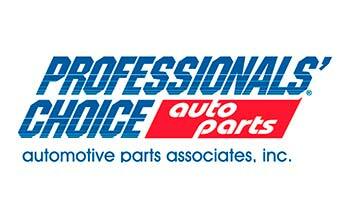 Over 40 years of experience manufacturing parts in the automotive industry. We pride ourselves in superior quality in every part produced, specializing in making rock solid auto parts that withstand the test of time. 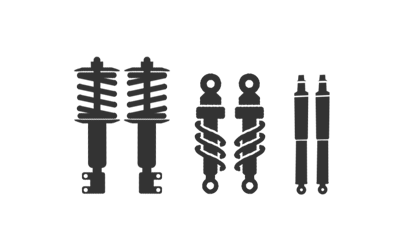 What we offer.Full Line of Suspension Parts. Unity offers full line of quality suspension parts from Complete Strut Assemblies, Conversion Kits, Performance Strut Assemblies, to Air Suspension and much more that meet or exceed OEM. Why choose Us.Service, Quality & Growth. 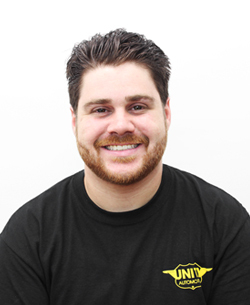 With a true understanding of the marketplace, and having the largest coverage of quality suspension parts in the aftermarket, Unity Automotive has become an industry leader in innovation of aftermarket suspension. We've been hard at work to roll out some amazing new things! to fit thousands of applications. creativity, or incentive for improvement. Those who initiate change will have a better opportunity to manage the change that is inevitable. Offering a full line of suspension products. All of Unity’s products can easily be integrated into a new or existing digital platform. We can implement over 1,700 SKU's into your website, increasing your available inventory, simultaneously increasing your monthly revenue, while not worrying about shipping. 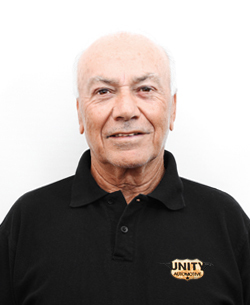 Unity offers a fully integrated solution utilizing cutting edge technology. 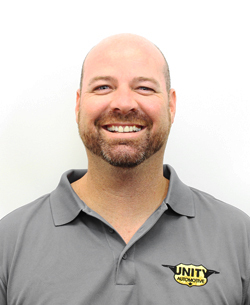 Unity Automotive is accelerating the way our auto parts are sold online, by developing and integrating every tool our partners need to exceed. Unity offers the most competitive Direct Import program in the country with complete solutions for all products Unity offers. A full service team is available to handle all of your needs from the production line directly to your warehouse dock. From market data, freight, customs clearance, private labeling, etc. 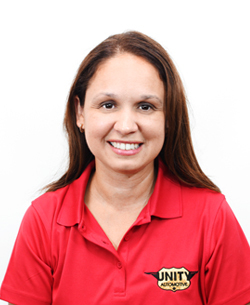 "Unity has everything you need"
Our Distribution Center in Florida can handle nearly any size order quickly and pain free. Place your orders online or directly with your Sales Representative and Unity handles the rest. We keep every application in stock and ready to ship at a moments notice. Our staff is highly trained with focus on perfection and professionalism. The perfect Extranet Solution for our Clients. 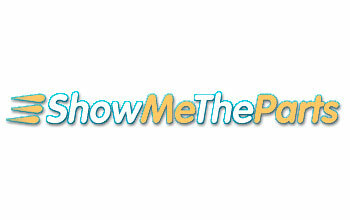 Easy to use from your Smartphone, Tablets or Desktops. 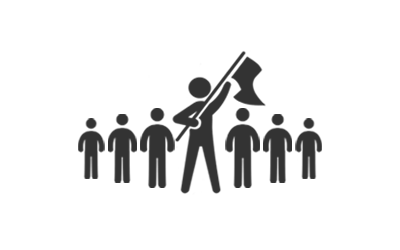 Do you want to be part of it? Contact to us and ask for credentials to log in. Fits and works like OEM, without OEM price! So good, am wanting to replace my rear struts now. It was an improvement over the old strut and was an exact match. With the lifetime warranty, this strut assembly it is a great value over just the strut. The people who make Unity great. 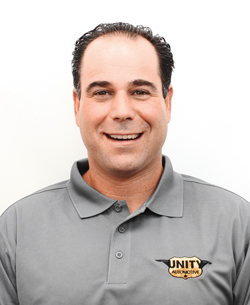 With over 40 years in the aftermarket automotive industry, Joe has set a foundation for his staff, ensuring all employees at UNITY have a true understanding of our customers’ needs. 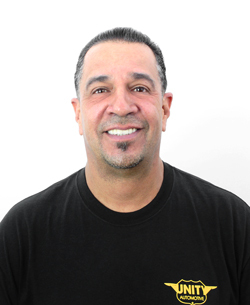 With 20 years’ experience in the automotive industry, Alex brings a true understanding of our customers’ needs to our culture. 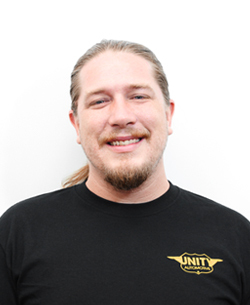 Alex brings a well balanced approach to business and Unity’s future. Prior to joining our team in 2012, Krishna was and Auditor in the public sector and Senior Accountant in the private sector. 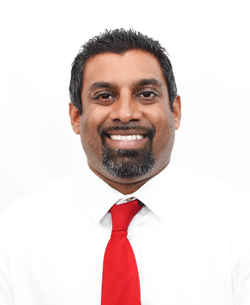 With over 10 years’ experience, Krishna has developed a strong accounting foundation for the company and continues to develop policies and procedures to strengthen our company internally and externally. 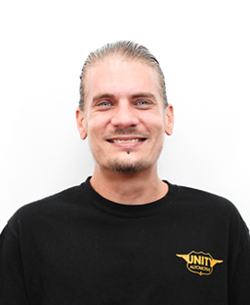 Since joining our team in 2012, Jeff has been an integral part of Unity’s success with his track record of excellent customer service, organization and leadership. Prior to taking over the sales department, he had served as the Operations Manager for over 4 years. 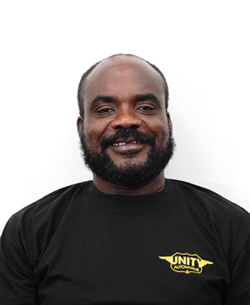 Now with his focus exclusively on sales, he has been essential in growing our customer base and giving the Unity brand a global presence. 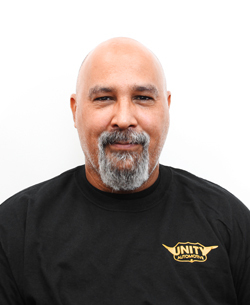 Prior joining the Unity Automotive family. Christina has work as an A/R and A/P manager. With over 15 years’ experience in Accounting, Christina has help bring policy and procedures to the accounting department. Christina helps overseeing the accounting department and resolving any concerns and issues with our customer and vendors. Miosoty is responsible for any billing issues or concerns with A/R or A/P. Miosoty’s strong Accounting skills ensures the accuracy of invoices to customers and from vendors. Her ability also helps the accounting department implement policies and procedures both internal and external. Tina assists the Controller and Senior Staff Accountant in preparation of various documents. She is also accountable for provisions of records, financial reports, general ledgers, the analysis and preparation of budgets, and the general performance of bookkeeping. Mellissa helps guide our sales team to find innovative solutions for the broader market. 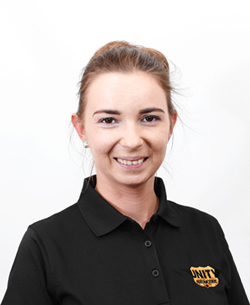 Her role is to assist with developing new ideas based on the current industry to help generate new sales and bring new prospects onboard. Overall increasing the profitability of existing ecommerce accounts while also developing new relationships for ecommerce sales for the company. Michael applies his expertise & knowledge to technical projects finding innovative, cost-effective means to improve research, techniques, procedures, and products. His responsibility includes developing, conducting, and evaluating new approaches to meet projective objectives faster and more efficiently. Ross applies over 20 years of automotive, electrical, and mechanical engineering to the research and development of new and existing products. His responsibilities include product development, product evaluation, technical writing, and development of diagnostic systems to ensure our products meet and exceed industry specifications. 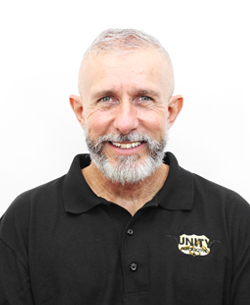 Will is responsible for developing, implementing and executing strategic marketing plans for Unity in order to attract potential customers and retain existing ones. 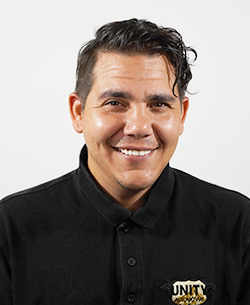 He is responsible for conceptualization and implementation of design and solutions that meet marketing strategies from concept to completion for both print and online campaigns. 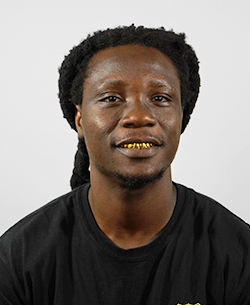 Thierry assists the Art Director and executes concepts, design, and other visual elements in advertisements. His experience with illustration, photography, and videography truly helps brand the identity of Unity. 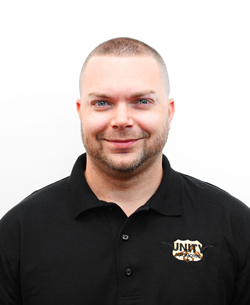 Jonathan is responsible for overseeing and managing the company’s information technology projects. He coordinates project phases from development to installation and acts as liaison between clients, vendors, and consultants. 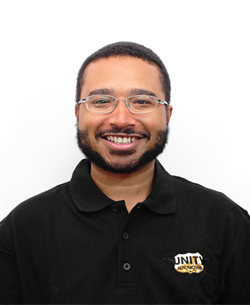 Duane investigates and diagnose network problems, collecting IT usage stats, making recommendations for improving the IT systems and carrying out routine configuration and installation of IT solutions. 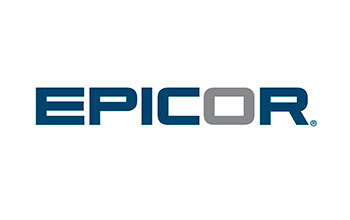 He also assists the CTO in managing the company’s information technology projects. Roley serves Palm Beach, Broward, and Dade Counties. He provides product knowledge and local sales account coverage to new and existing customers. Lakehia provides customer service and technical support resolutions. She develops service procedures and policies for her team while setting clear mission objectives for service improvement. 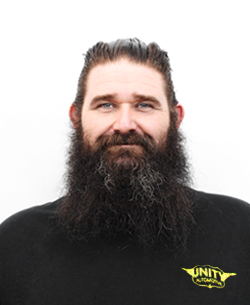 Joe provides customer guidance to resolve technical problems and assists with installation and troubleshooting. Kierstin provides customer guidance to resolve technical problems and assists with installation, troubleshooting and verifying products received. Roy serves customers by providing product and service information; resolving problems, determining the cause, and providing the best possible solutions. 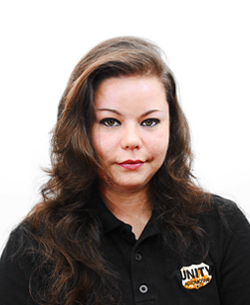 Karolina serves customers by providing product and service information; resolving problems, determining the cause, and providing the best possible solutions. 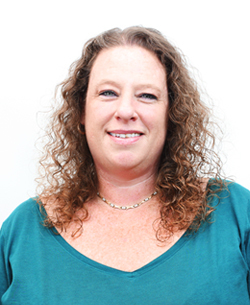 Stephanie serves customers by providing product and service information; resolving problems, determining the cause, and providing the best possible solutions. Junior is responsible for taking down and processing all outgoing orders. He ensures that customers receive their products correctly and on time. Shannon is responsible for taking down and processing all outgoing orders. She ensures that customers receive their products correctly and on time. Steve provides data support to the sales department technical staff. 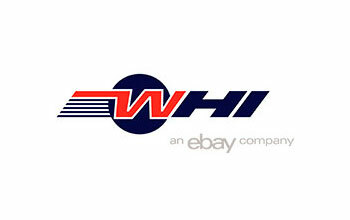 He maintains vendor web based inventory, product information to insure accuracy and assist with data analysis reports. 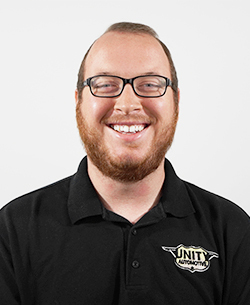 Brandon is responsible for all logistics, shipping, and receiving. He manages warehouse staff, returns, inventory, & quality control departments. Gregory assists the Operations Manager in creating and implementing all procedures pertaining to shipping, receiving and distribution of product, as well as quality control. 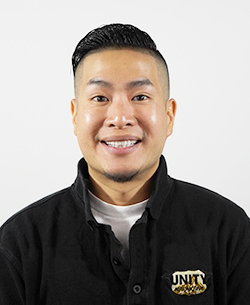 Kenny assists the operations Managers in creating and implementing all procedures pertaining to shipping, receiving, and distribution of products, as well as quality control. Ashton tracks the inventory flow of products that are being processed for distribution and quality control. He then oversees that all products in-stock accurately gets to their proper destination. Joel receives parts that are being returned for credit or an exchange. Issuing Return Merchandise Authorizations via email and keeping customer content with replacement parts for any defective units. Jean assists the Returns Manager in receipt and processing of returns. He inspects the parts returned, logs the information into the system and sends them to the appropriate department. Kervins is in charge of making sure that the products meet high quality standards. He makes certain that products from the production line performs at the highest standards and devise ways of improving the manufacturing process to ensure higher quality goods. Wyndell assists the quality control manager ensuring that the products produced adhere to an established quality standard. He oversees the sample and final product, looking for specific problems, observing the units produced for visible defects, performing various tests, noting down observations and performing other various tasks assigned. Alfred assists the quality control manager ensuring that the products produced adhere to an established quality standard. He oversees the sample and final product, looking for specific problems, observing the units produced for visible defects, performing various tests, noting down observations and performing other various tasks assigned. 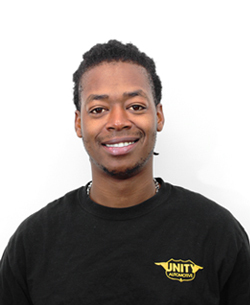 Antwon is the direct supervisor for all warehouse staff. 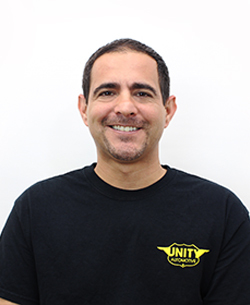 He is the liaison between the warehouse and operations, ensuring that the warehouse staff follows Unity policies and procedures in regards to all warehouse functions. Edwin is the front line of quality control, he examines detailed specifications for development of new products by welding various metal components to assist in creating the final product. Every part complete by him is examined by Quality Control & Research & Development to ensure a proper product for the Elite Suspension line. 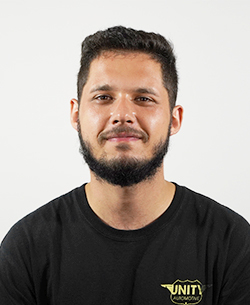 Cesar is the front line of quality control, he examines detailed specifications for development of new products by welding various metal components to assist in creating the final product. Every part complete by him is examined by Quality Control & Research & Development to ensure a proper product for the Elite Suspension line. Gasper is the front line of quality control, he examines detailed specifications for development of new products by welding various metal components to assist in creating the final product. Every part complete by him is examined by Quality Control & Research & Development to ensure a proper product for the Elite Suspension line. Devin assists the Technicians with the final product. Once parts are completed by the technician, he then installs the rest of the components and tests the final product to ensure that the unit performs correctly and safely. Kevin assists the Technicians with the final product. Once parts are complete by the technician, he then installs the rest of the components and tests the final product to ensure that the unit performs correctly and safely. Terrance assists the Technicians with the final product. Once parts are complete by the technician, he then installs the rest of the components and tests the final product to ensure that the unit performs correctly and safely. Norman assists the Technicians with the final product. Once parts are completed by the technician, he then installs the rest of the components and tests the final product to ensure that the unit performs correctly and safely. Chris assists the Technicians with the final product. Once parts are completed by the technician, he then installs the rest of the components and tests the final product to ensure that the unit performs correctly and safely. Responsible for receiving, storing and distributing products within the warehouse, ensuring accuracy and timeliness of all job functions. The goal is to increase efficiency and customer satisfaction. Michelson assists the Inventory Manager to ensure products are being processed for distribution and quality control. He then oversees that all products in-stock accurately gets to their proper destination. "People are the most important asset for us."